Les Miserables. Young Frankenstein. Grease. These are a few of the many performances delivered at the Manatee Performing Arts Center (PAC) to the enthusiastic theater community around Bradenton, Florida. The year-old Manatee PAC has already cemented itself in the community’s visual arts scene as a destination for engaging live performances. With the help of BCI Integrated Solutions, a Tampa-based professional audio-video integrator, the Manatee PAC is using some of the audio-video industry’s most compelling solutions to expand their audience beyond the PAC’s previous expectations. Opened to the public in March, 2013, the Manatee Performing Arts Center contains two venues: the main Stone Hall and the smaller Bradenton Kiwanis Theater. With seating for over 360 patrons, the Stone Hall venue features major musicals. The 100-seat Bradenton Kiwanis Theater allows for smaller, less formal workshops and performances. Although the overall intent was to build a generally flexible, multi-purpose entertainment space, two critical needs had to be addressed with the chosen technology. The first related to the live theater productions in Stone Hall. The creative and production teams needed a way to create compelling, immersive sets for their performances on a limited budget. 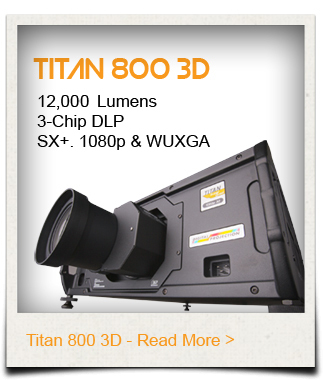 After a review of existing technology, Michael Fraioli of BCI Integrated Solutions suggested Digital Projection International’s (DPI) cinema-grade TITAN 1080p 800 projector. 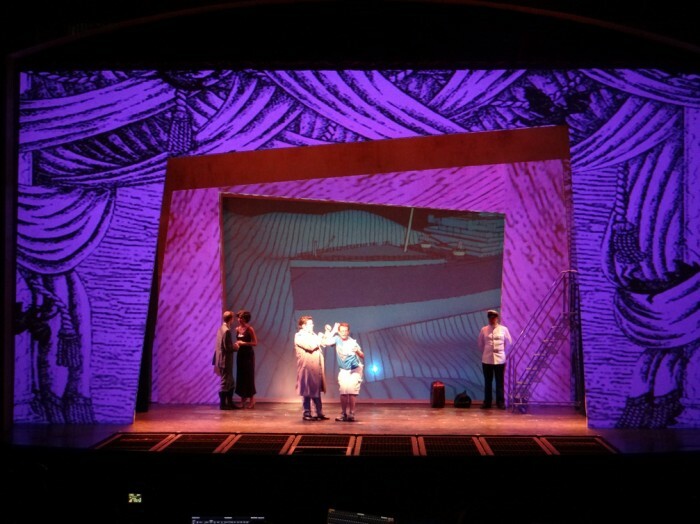 The Manatee PAC team has a strong in-house creative team, and eventually decided to rely on the TITAN’s incredible brightness to project custom virtual sets onto both bare surfaces and a large acoustically transparent Draper screen onstage.